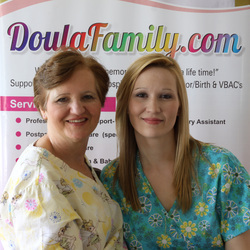 "Doula" is an ancient Greek word. and families during pregnancy, labor, birth, and postpartum. postpartum depression and so on. however there are Doulas that contract exclusively for postpartum support. and are not trained for clinical skills. "Love begins at home, and it is not how much we do... but how much love we put in that action. "